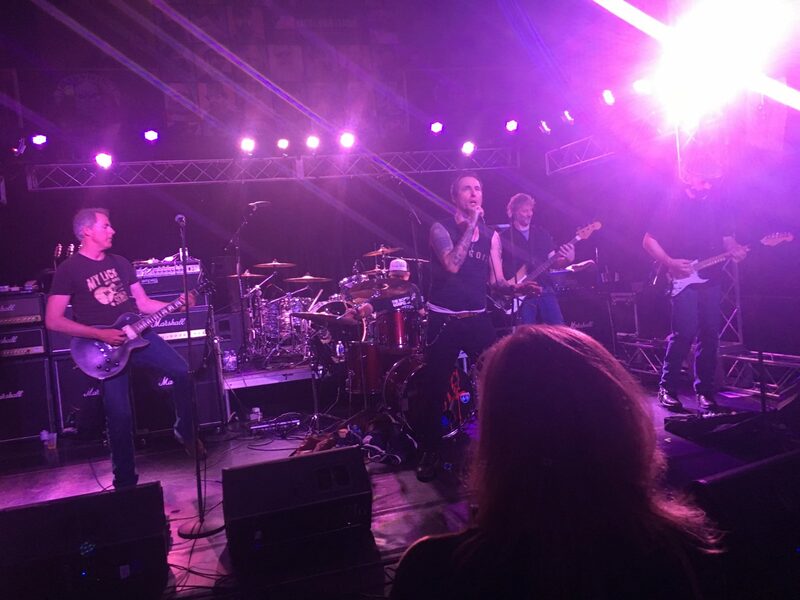 Last Saturday Xie and I made the two hour drive to Warrendale, PA to see Candlebox in concert at Jergel’s Rhythm Grille. Because schedules change when you are a parent, we didn’t purchase the tickets until Saturday morning. I managed to get them when there was still thirteen minutes left on the pre-sales. I lucked out on that. Just in case we took a change a clothes. Normally when we go to a concert, I’m the one that leaves sober at the end of the night before we do the drive home. While we have had longer drives to go see shows, this time we were going to see if there was hotel’s nearby and just do the Uber thing. The closest town with lodging is Cranberry, PA. At first we pulled into a Red Roof in. This place looked like it hadn’t been updated since the late 70’s or early 80’s. I took a pass on that one. Then we went over and looked at the Holiday Inn Express. It looked bearable so I went in to inquire about a room. The front desk was busy with someone else for a few minutes, so I decided to step outside and take a look on Expedia. There was a Candlewood Suites across the street that was 20.00 cheaper a night than Holiday Inn (and only 17.00 more than the previously mentioned Red Roof Inn). I immediately pre-paid for the room and went across the street. We checked in, but we still had an hour before the doors opened at the show. Since we knew that it would be an evening of imbibing we decided to get some food in our stomachs. There was a shopping center about a 100 yards away – so we wandered over to see what was on the menu. Chipotle seemed to heavy to us, so we decided on to try Italian Village Pizza. The cheese was good. The sauce was interesting. I was not a fan of the crust though. We went back to gather our stuff at the hotel and ordered the Uber. It was Xie’s first experience – thankfully it went painlessly. Now that I’ve given you an overly long intro – let’s move to the sections that actually made you come and read this story…..
We arrived and it was a small venue. Not the smallest we have been to, but small. 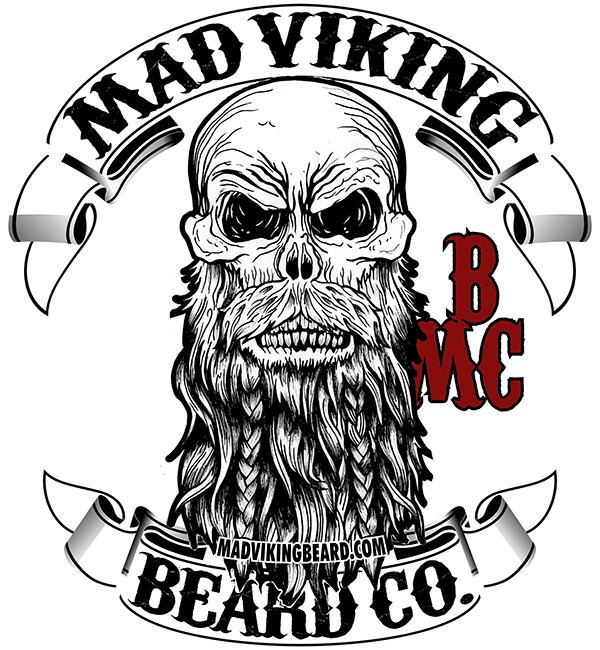 I knew the event was a charity even sponsored by the Mad Viking Beard Company. However, I expected this to be a smaller part of the day. Nope, for most it seemed this was the main attraction. We arrived and there was beards everywhere. There were kilts, there were tutus, there were people dressed like garden gnomes. 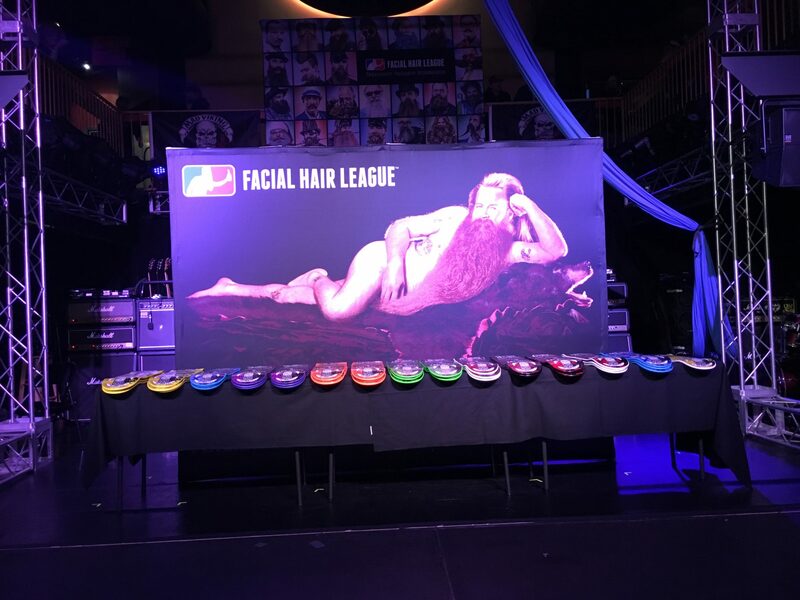 It was a celebration of facial hair that funneled all the excess money to a local children’s hospital. Everyone seemed nice, but at the same time if beards were really a sign of masculinity to these people I was slightly above Jokey Smurf. Maybe I shouldn’t have shaved and cleaned up the night before. It turned out fine though. Everyone was there having a good time. At one point some guy bumped into me while we were watching the competition and I turned to apologize (thinking I ran in to him). He turned gave a mock scowl and then gave me a hug. There I was in the middle of the dance floor hugging a heavily bearded man that was neither family, nor a friend I have known for a long time. You know what, it was ok. It was the communal experience of the moment. The judging was finally winding down. I think we were there for the whole competition. We were wandering around, drinking, and eating a little. So in fairness I can’t say I gave the competition my full attention. Counting “Best in Show” there was 15 different categories that were judged. We did catch the freestyle category and it was a guy that Xie and I noticed earlier in the day who seemed to use an abundance of wax to get his beard to twist and twirl. He far and away came the winner of the category. They would do a few events and then have a break. I assume the judges were conferring during this time. To keep the crowd entertained they had a female dance troupe come on stage and entertain the crowd. Their style was a cross between stripper style dancing and burlesque – but more on the former than the latter. They did the hang and climb from the ribbon act, wore lingerie and skimpy outfits. The beard crowd seemed to be entertained. However, they did cheer quite a bit louder for actual beard participants, so who knows. Finally it was time for them to award Best in Show. They brought up all the first place winners on stage to have you cheer for the winner. I did cheer for the random guy that hugged me. I felt it was the least I could do. 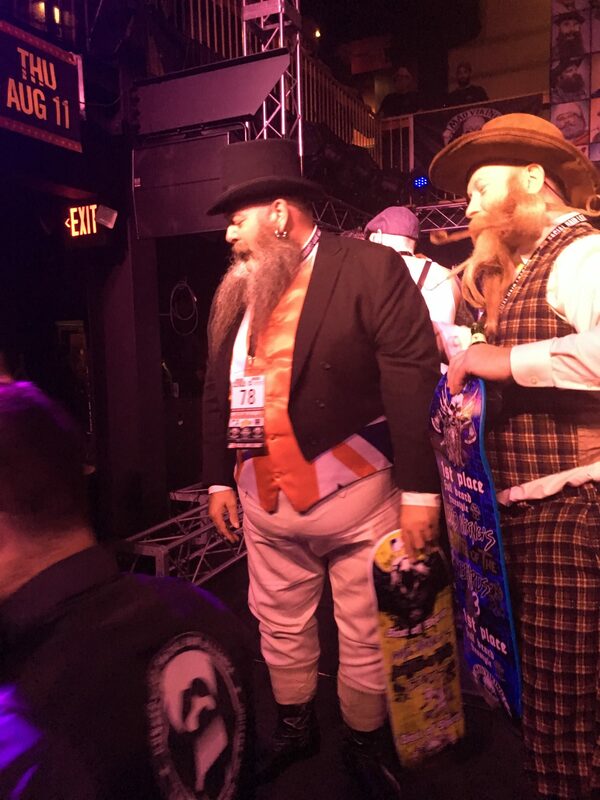 I also cheered for the overly waxed facial hair looping beard guy that won the freestyle competition. However, a guy in a full 1800’s magician outfit was far and away the winner. All the winners received a plaque that was a painted skateboard deck with the category and their place. It almost 10PM and it then the music started. The first band was a local band called Deth Rattle. Unfortunately I did not get any pictures of the band. It was bad timing because after being there for almost four hours and drinking we needed food. We watched the act from the bar while we ate some of their fantastic fried cheese. They were great, but only had a set of three songs. This was because they were already pushed back by the dancing the girls and the beard competition that went on quite long. There was this young girl (8 or 9) that was there with her parents. I guess she was definitely jamming out to Deth Rattle. They made an effort to talk to her after the set. They also got her a free signed CD and then posed with her for a picture on the stage with the full band. They seemed to be a good group of guys who appreciated the attention and hopefully are going places. It was then time for Sponge to come on. I’ll be fair while I was aware that I knew one or two Sponge songs – I’m actually much more familiar with them than I was aware of. I would definitely put them in a class similar to the Toadies. They are a band you don’t actively think about, but it turns out you really love. You’ve just been an hiatus and haven’t thought about them for awhile. I definitely would want to see them again. Their were two definite highlights of there set. The first was when they sung Molly. It took a few minutes to get it correct, but the lead singer finally got the girl in the front row (the one Deth Rattle loved), to sing the part “16 Candles down the drain”. The other part was what I wrote about yesterday, the fact that they played their Speed Racer cover. I’ll just OMG OMG OMG right there and not gush all over it again. 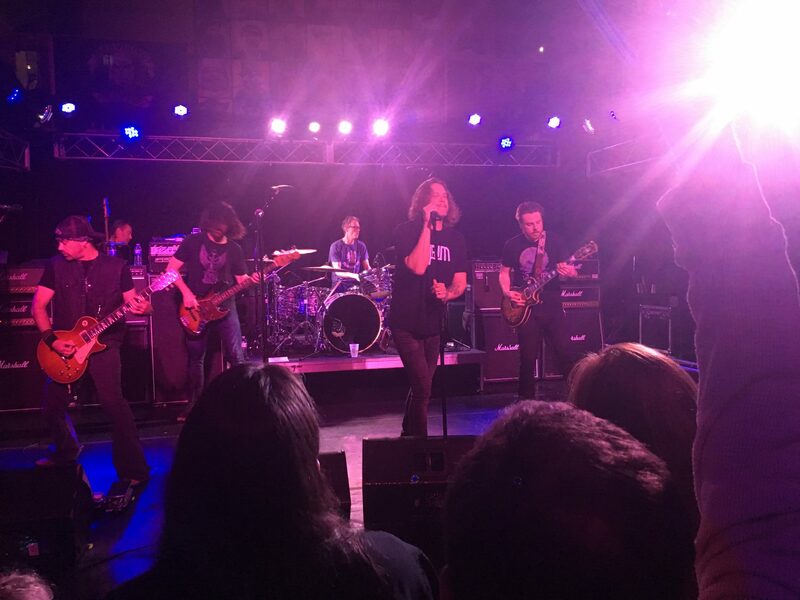 Performing with Candlebox was more of a contrast than I would have thought. Sponge was very high energy and for a guy in his 40’s the singer was hopping around and dancing the way our generation did in the 90’s. While the crowd – and therefore the crowd energy – wasn’t as large. It was a feeling that was similar to my Weezer experience. Not quite Screaming Females in a venue the size of my downstairs level of energy, but great energy nonetheless. 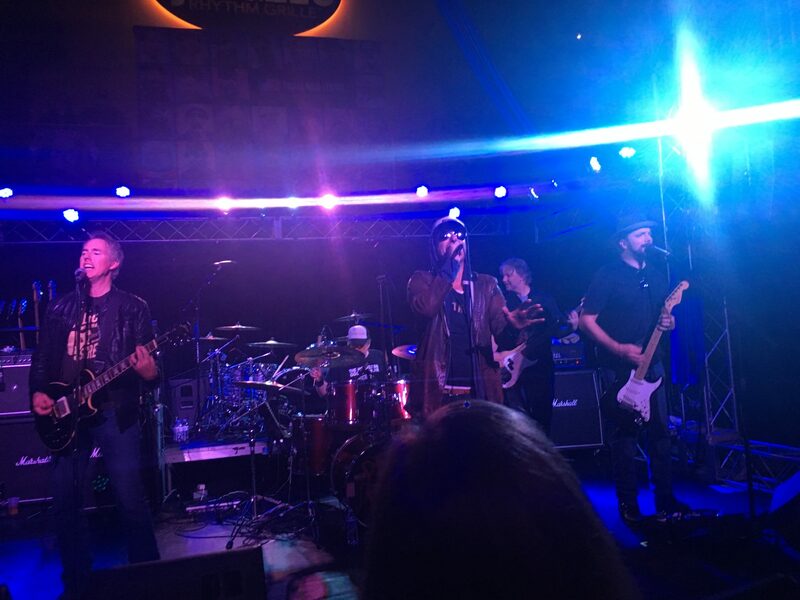 There are some videos of Candlebox dawn further, but the only ones of Sponge were on Facebook and not very easily shared. Sponge played for over an hour and then Candlebox came on. Comparing energy of the performances is unfair. It’s like comparing a Nirvana concert to Niravana Unplugged. Candlebox definitely gave it everything to the small crowd. They were fantastic, but the energy was different. While Sponge is more pop music, Candlebox is the fine wine that warms your core. You come out changed a bit from the experience in a good way. I was much more (pre-concert unlike Sponge) openly familiar with Candlebox’s songs. I was transported back 20 years and the ravages of time and adulting were stripped away and it was like being 20 again. At one point they started doing a cover of Hungry Like a Wolf, but only went through the first verse and the refrain before stopping. They played all the main songs you would expect them to play. They also played new stuff that is just as good as the old stuff. 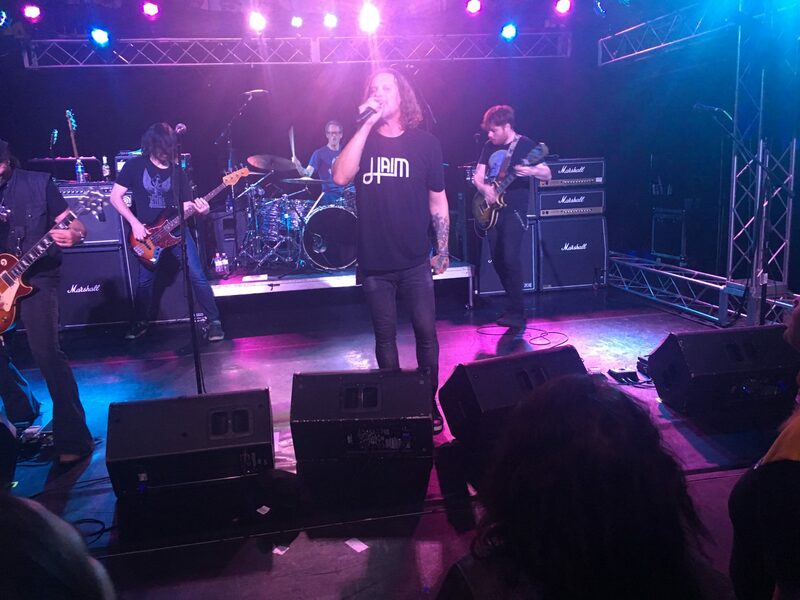 Candlebox performed for almost 2 hours. At this point we were spent. However, we did get one more drink from the bar and closed out a tab that I don’t even want to begin to discuss. I opened up Uber, and there were no Uber Driver’s available. As we finished the drinks I checked again. There was one available 9 minutes away. I ordered it up and watched for the driver. The driver ended up lost or couldn’t find us and canceled the trip. 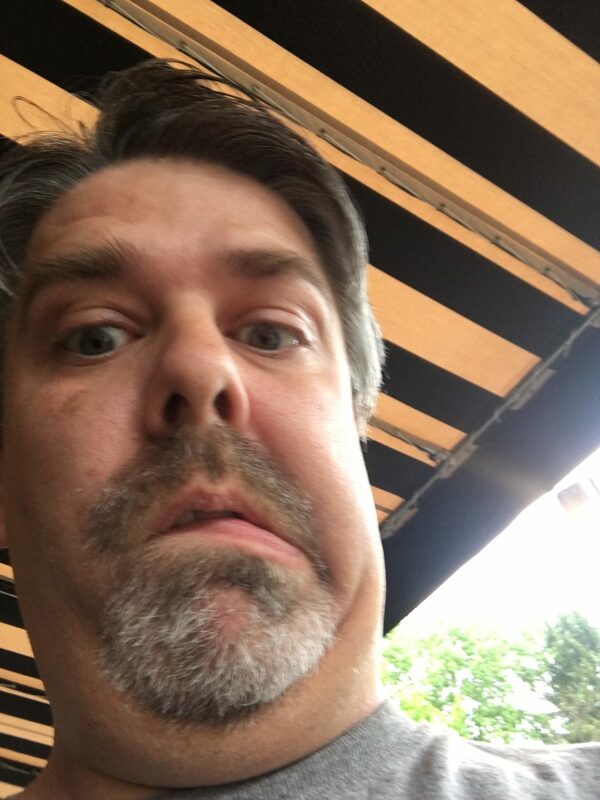 Tried to rebook, and no Uber’s available. I then waited a couple minutes and tried again. This time there was a different driver. He found us and took us back to the hotel. Of course now Xie questions Uber, at least in fringe areas. It was a fantastic night overall – I wish I could go back and do it again right now.